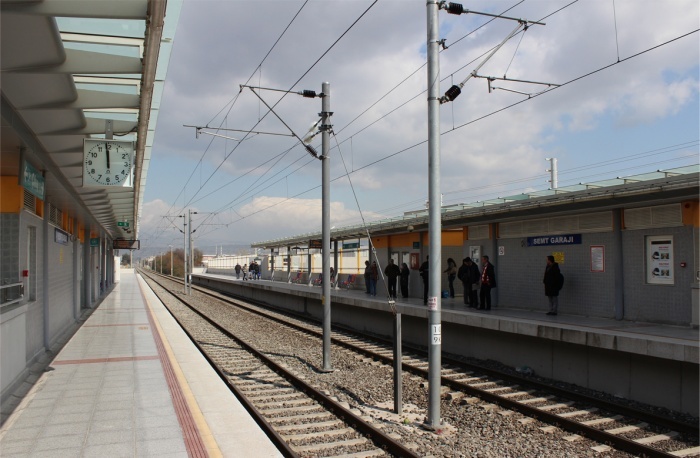 The Suburban Railroad Development Project of the Greater Municipality of Izmir planned for the upgraded and modernized existing railroad between Aliağa and Cumaovası consists 6 stations in the first phase. Four of these stations are designed with concouse levels at the overpass and two are designed at the underpass. Projected passenger capacities, restrictions of the existing site zoning and property conditions, contemporary technical and aesthetical requirements, economy were the main factors in the design of the state-of-the-art station buildings. 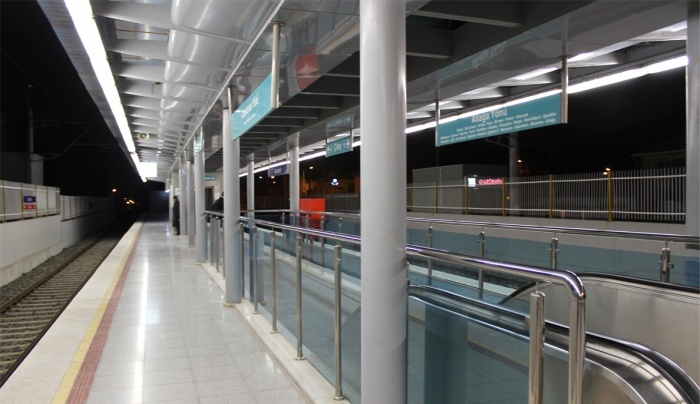 Whether side platform or middle platform, overpass or underpass, all type of stations are designed with the same architectural language to have a symbolic character for modern Izmir. 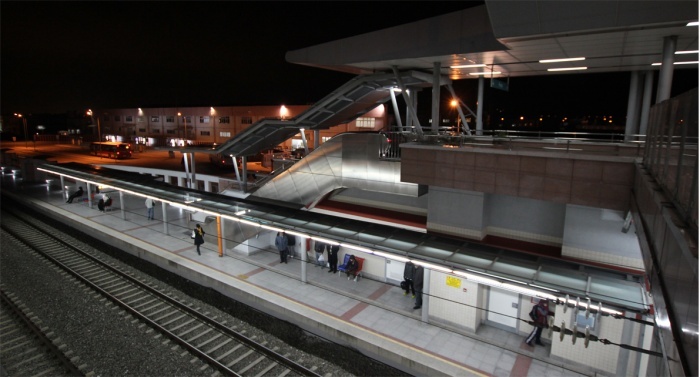 Most durable materials are used in their purest appearences, concourse roof and platform shelters are designed as metal construction to give a light and flying effect. 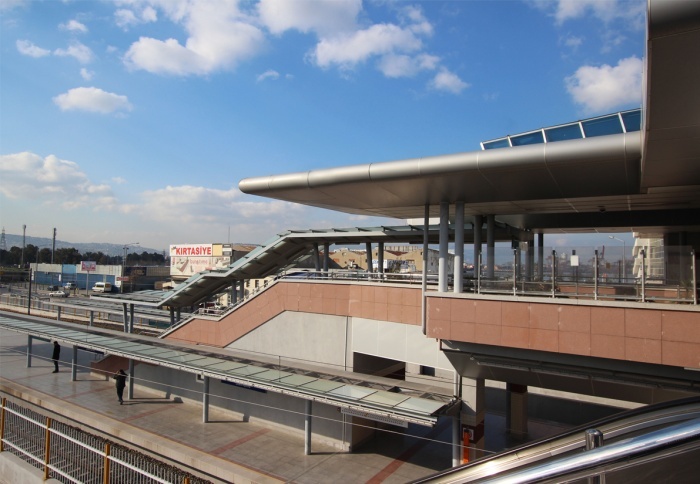 The courtyards of the descending stairs to the stations with concouse level at the underpass (Semt Garajı & Koşu*) are designed as big as possible as the site conditions permit, and the underpass tunnel as short as possible for maximim daylight and safety. Ascending stairs to the platforms are also sheltered with glass to allow daylight into the concouse hall. 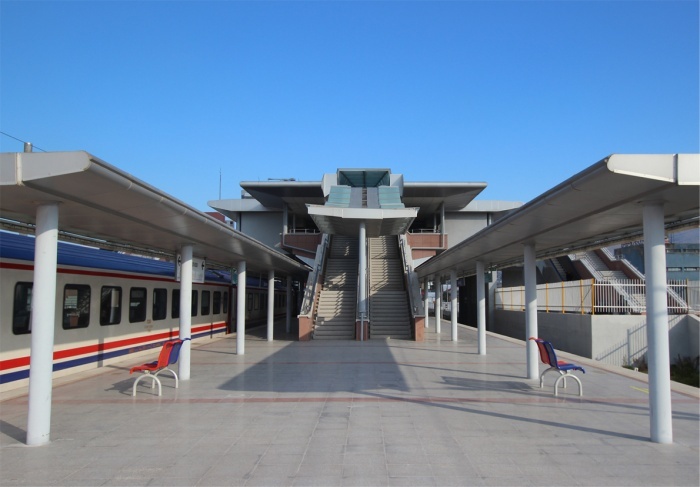 The stations with concourse level at the overpass (Esbaş*, Salhane, Turan & Sarnıç) have metal structured roofs to give a light and flying effect and are designed parallel to the direction of movements of the trains, seperated in the middle with a barrel-like skylight that takes the lightness effect further. This effect is carried on into the night by lighting the skylight, hence making the whole building a landmark. The stations also serve as under or overpasses. 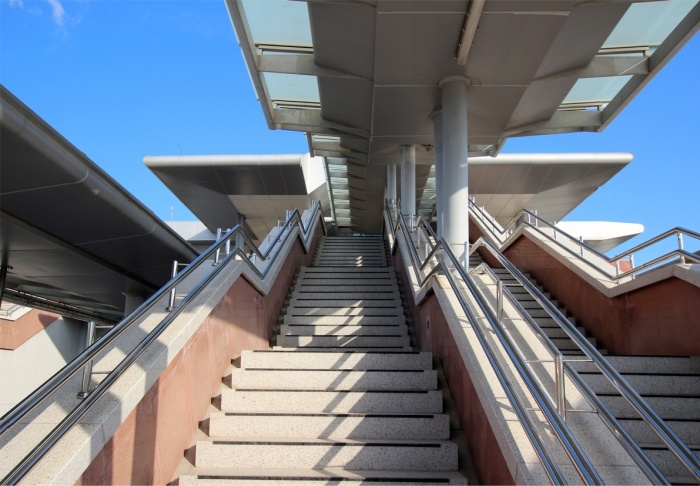 The mass of the overpass stations are minimized by gradually elevated platforms as one approaches, thus achieving a scale fit to the surroundings. Considering the reluctance of the pedestrians in using the overpasses, the surroundings of the stations are designed as parks as site conditions permit, giving an easy and comfortable access to the ramps and stairs. 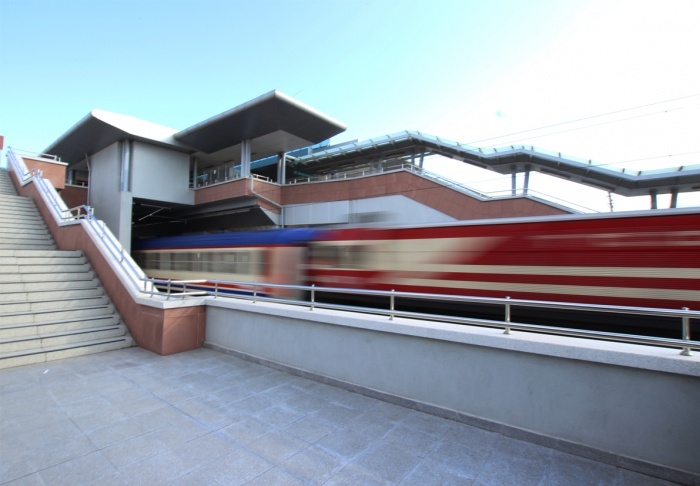 * Koşu Station is presented here as an example for the concourse level at the underpass, and Esbaş Station as an example for the concouse level at the overpass.